On 10th December, twenty students from years 7 to 9 took part in the “Adventures in Robotics” day hosted by the physics department. The students each built, programmed and tested an Arduino controlled robot which they then took home to keep. 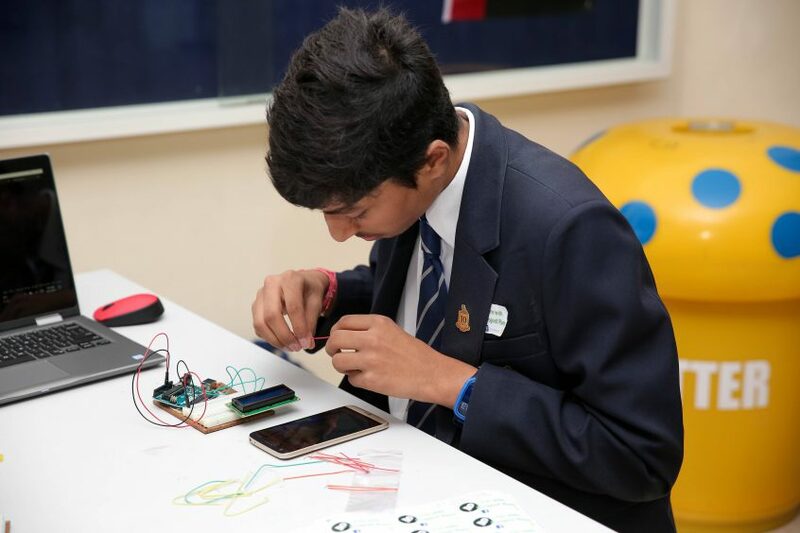 Students were introduced to the basic programming required to customise their robot with flashing lights and sounds before moving on to more complex programs. By the end of the session all students were able to program their robots to drive autonomously; avoiding obstacles in their way using an ultrasonic sensor, or by following a line on the ground using a combination of light detectors. To fully test the robots’ abilities, the final activity of the day was a ten versus ten football game that developed into something more closely resembling a robotic rugby scrum. The score was drawn at girls 0 – 0 boys, but great fun was certainly had by all participants.